Gassor's Taekwon-do Wales win the Irish Kup Cup 2012 and 25 Medals!!! On Friday 14th September Senior Instructor Mrs Leanne Gassor-Jones and 48 members from Gassor''s Taekwon-do Wales (23 competitors & 25 supporters) travelled to Wexford, Ireland ready to compete in the Irish Kup Cup 2012 on Saturday 15th September. The day started with everyone travelling together on a coach from the club''s head office (the Martial Arts & Fitness Centre, Newport) to Rosslare ferry port. Mrs Gassor-Jones gave everyone an itinerary with plans to make the most of everyone''s time in Wexford, and then kept everyone entertained with goody bags, a word search, a Taekwon-do quiz, a raffle, dvd''s to watch and even a game of bingo! The entertainment helped the 3 hour journey fly by and before we knew it we were all on the ferry to Rosslare! After the 3 and a half hour ferry journey, the club were kindly met by Miss Bernie Doyle and followed her to the hotel. After a quick check-in and freshen up everyone made their way for a group meal at the hotel. The meal was delightful and was a nice chance for everyone to spend more time together. Everyone was now really looking forward to the tournament the following day. On the day of the tournament (Saturday 15th September) everyone met for a hearty breakfast and then made our way to the tournament. Everyone at the tournament was very welcoming and after a Coach and Umpire meeting with the guidance of Master Nicholls the tournament started. Our youngest Gassor''s member competing on the day, 6 year old Kian Luton, was first up for Patterns and made everyone proud by winning the Gold! Sam Pupic later followed Kian with another Gold in Patterns, along with 2 bronze medals in Patterns for Morgan Thomas and Tomos Sharwood. All 11 students who competed in Patterns did really well and were all really looking forward to the Sparring. Kian Luton was again first on for the Sparring and again thrilled everyone with another Gold! This inspired everyone from Gassor''s to do well and Gassor''s went on to win a further 8 Gold medals in Sparring! The results for Sparring were: 9 Gold medals, 5 Silver medals and 4 Bronze medals. Gassor''s members were really pleased with their medal tally of 22 medals, but were hoping to add to the tally with the Special Technique categories for Jumping High Kick and Destruction still to go. Martin Bebell made sure the medal tally increased by winning Gold in the destruction and then Gassor''s won 2 out of the 3 Jumping High Kick categories with James Shaw and Jordan Casey both winning Gold! Mr Flaherty then announced that there was a tie for the Irish Kup Cup 2012 between Irish I.T.F and Gassor''s! After a meeting it was decided that there would be a play-off between the 2 clubs in the Jumping High Kick Special Technique. James Shaw was picked to represent Gassor''s against a student called Liam from the Irish I.T.F. After a nail biting and emotional play-off James Shaw won it for Gassor''s and Gassor''s won the Irish Kup Cup! Master Nicholls presented Mrs Gassor-Jones with the Cup and Mrs Gassor-Jones praised Liam from the Irish I.T.F for his effort and everyone gave him a big cheer. Everyone from Gassor''s were really impressed with the strength and courage Liam showed and thought that he represented the Irish I.T.F brilliantly... well done Liam! Everyone from Gassor''s were all extremely pleased and proud of James Shaw for such a tremendous effort and want to thank him again for his major part in winning the Cup for Gassor''s! The final medal tally for Gassor''s Taekwon-do Wales was 25 medals (14 Gold, 5 Silver & 6 Bronze) & the Irish Kup Cup 2012! A big ''Well done'' also goes to the following students who all worked really hard: Alex Forehead, Ellis Murphy and Owen Powell. Mrs Leanne Gassor-Jones and Gassor''s Taekwon-do Wales would like to say a big thank you to Mr Mick Flaherty and Miss Bernie Doyle for hosting a friendly, organised and very welcoming tournament. Everyone from Gassor''s had a fantastic time and we look forward to returning next year. 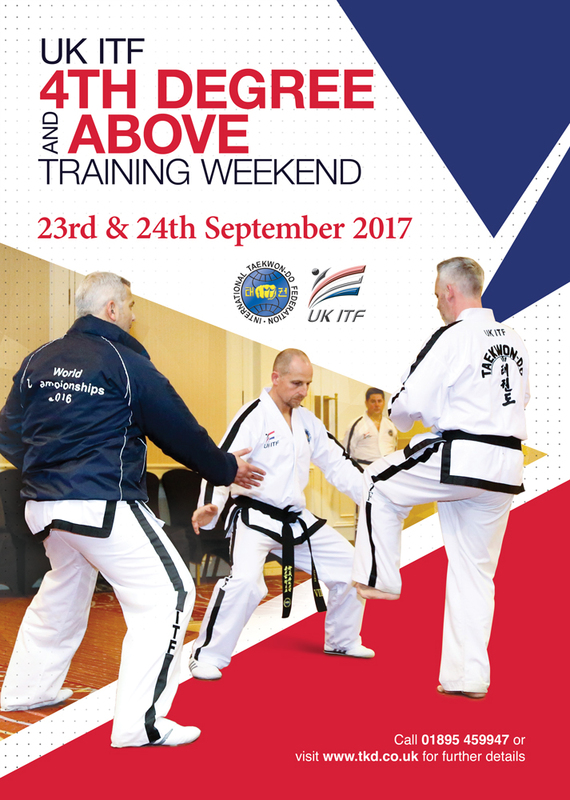 Gassor''s Taekwon-do are now really looking forward to the UK ITF British Championships in Cardiff on 20th October. It was a great honour to have you and your students over to compete in the Kup Cup. We would like to congratulate you on winning the Kup Cup and also for the exemplary conduct of your students and supporters. We are looking forward to next year and to meeting up again in Cardiff for the British Championships!